It’s that time of the year again! 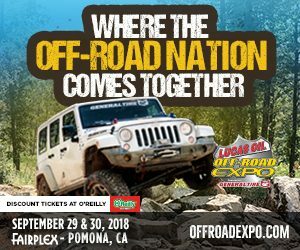 Offroad Expo is coming to Pomona Fairplex. Once again, we will have a booth with products on display and for purchase. It’s a great opportunity to meet us in person at booth 323B and get a deal on some parts. We will have one of our Broncos on display outfitted with our new 4 Link Cantilever system as well as some new merchandise. Come down for a family fun event where there’s something for everyone. Read below for more details about the event. New Billet Aluminum Radius Arms!